Why go through the hassle of new construction when you can have more upgrades than you can imagine, a huge lot - already fenced, landscaped, AND in a great community, in this nearly new home!?? 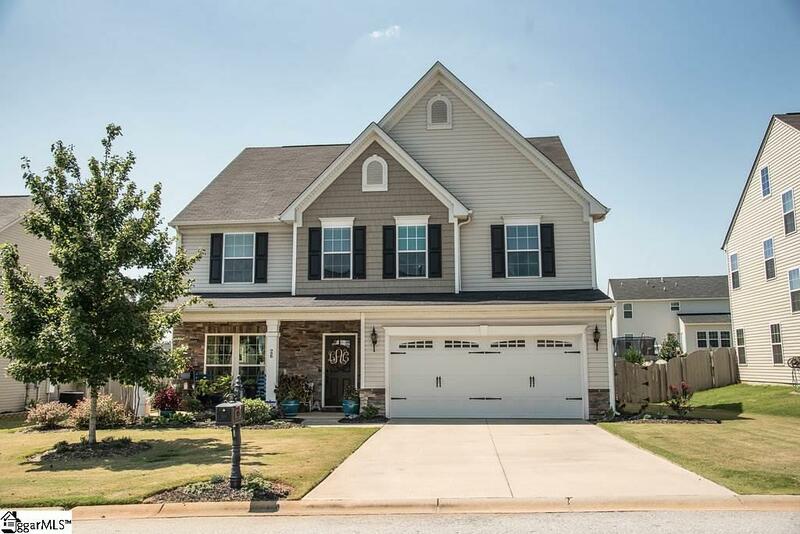 This beauty is close to 385, shopping, medical, Greenville Tech and more! 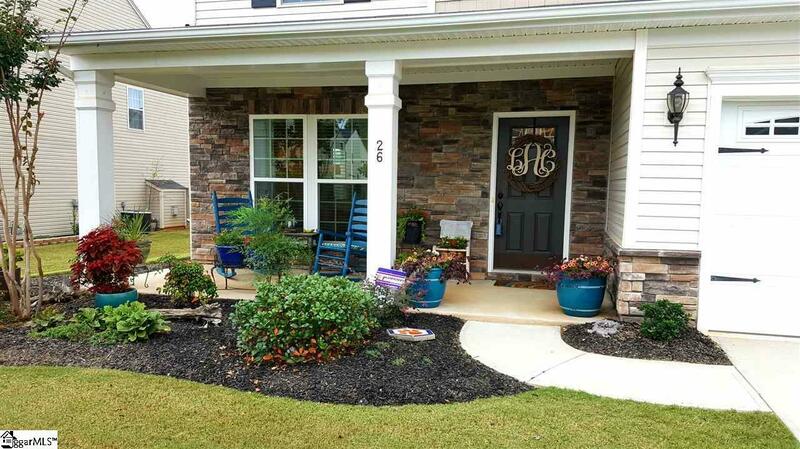 When you get to this home you are immediately greeted by beautiful flowers and landscaping in front of a large rocking chair front porch. 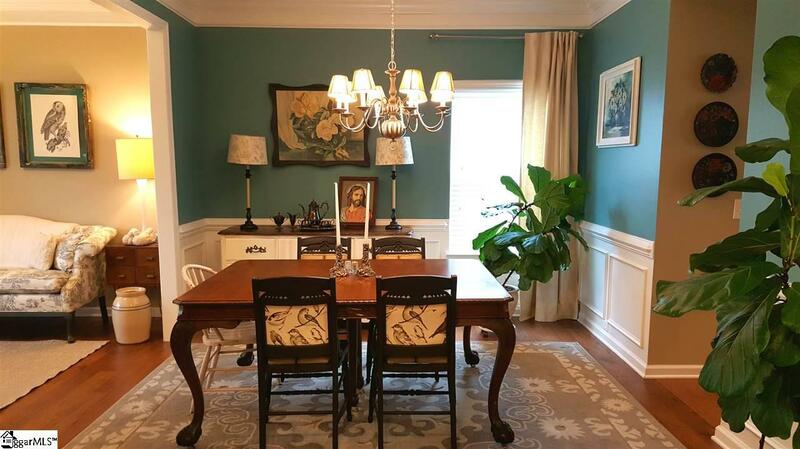 Inside your are welcomed by hand scraped hardwoods, custom paints, crown molding a large Living Room, that can easily be used for an office, and wainscoting in the Dining Room. The Gourmet Kitchen will leave you in awe! Upgraded 43" cabinets, over-sized island, additional morning room, with fantastic lighting, make this area perfect for everyday eating or entertaining! The open concept leads you into a large great room with a cozy fireplace. Off of the Great Room, is another room that can be used for so many things - an office, a workout room, craft room...possibilities are endless! Upstairs you enter to a large loft area, the 4 bedrooms, 2 full bathrooms, and a laundry room - no hauling laundry up and down the stairs here! The master is huge, and includes a sitting area! The master bath has double sinks AND double closets!! The bathrooms are upgraded with granite counters. The house is wired for surround sound, has upgraded carpet and padding upstairs - quality from top to bottom! Outside you have a large FENCED in lot and an amazing raised garden! All of this - in a community like River Shoals with great amenities...this is THE place you will want! Schedule your showing today before it is gone! 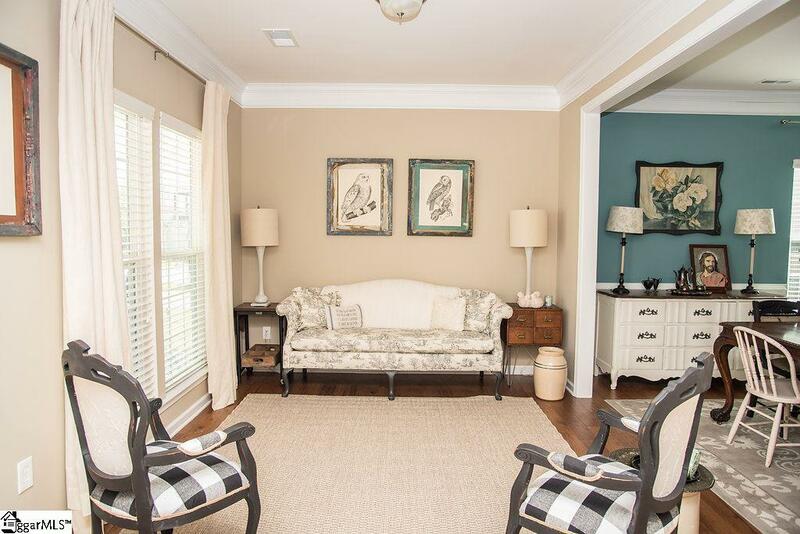 Listing provided courtesy of Tracie Shields of Keller Williams Greenville Cen.